Private Jets can be pricey, we are here to help you select the best options and prices for your Private Charter or Rental. Save money on Private Plane flights. You are invited to ask us for multiple quotes and compare aircraft. Take advantage of our Limousine Services and special Perks. For support contact our Airport Desk at P.(1) 702-336-7345. No request is to small. You select your own schedule and cities you plan to visit. As a next step you may search the websites for prices, deals and aircraft options. We are your best buy since aircraft are sourced from our 50 Plus Alliance partners- more competition means better rates for your charter flights. Leading edge technologies plus our relationship with the Major Resorts help us generate more traffic for our partners. Plus we help you with your aircraft requirements and provide you with the bids you can compare. Charter Agreements are yours with Guaranteed costs, we also offer deep discounted one way charters. Select this options for your departure within the next two weeks. Save from 30- 60% on the Large Cabin Jets with 9-14 seats. 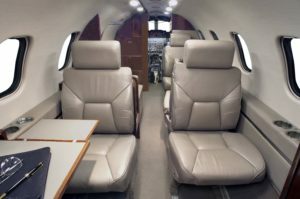 How much is your private jet?—you may need side by side pricing options to compare a Turbo Twin Engine with a Light Jet. We will be here to display your costs, seating and options for each aircraft. Take advantage of our Total Care program with and extra layer of security provided by Bedrock Special Projects. Compare several aircraft options side by side- view the seating and aircraft from the inside and outside. Consider the Budget options by selecting a King Air Twin Turbo or the very light Phenom Jet. The King has seating for 8 passengers. The Phenom with an interior designed by BMW offers 4 comfortable seats. Charters at lower costs– don’t overbuy on planes which have too many seats. Make certain that you have selected a jet which will operate non-stop. Avoid fuel stops whenever possible. Keep it simple, you can reach our Airport Desk at P. (1) 702-336-7345. 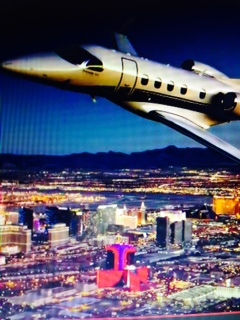 One of our Team Members will be here to help you select a cost efficient Private Jet Charter. You receive a quote with schedules in local time, aircraft photos interior and exterior plus your cost detail. This will show your charter hours, landing fees- overnight fees and all charges. Federal Taxes of 7.5% apply on all domestic US flights. For a limited time take advantage of complimentary limousine transfers with your Super Midsize flights. This includes the Challenger 601 with 12 seats or the Gulfstream 200 with 9 seats. Our Concierge Team offers upgrades, spa credits and free breakfasts at most Las Vegas Strip Resorts–for help call P.(1) 702-696-4012.